When you look at the designs available this year, you'll see tabs for each design. Click on the 'Charity' tab and you can see which charities you can choose to support with each particular design. Then just let us know which one you would like to support. Charity fighting heart and circulatory disease. The BHF funds research, education and life-saving equipment and helps heart patients. Marie Curie provides free nursing care to cancer patients and those with other terminal illnesses in their own homes. An international children's charity based in the UK which supports both emergency and long-term relief and development projects. 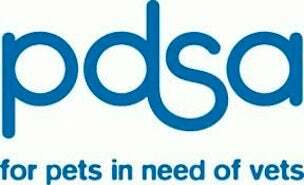 PDSA is the UK's leading veterinary charity, caring for more than 350,000 pet patients belonging to people in need. We provide free veterinary treatment to sick and injured animals and we promote responsible pet ownership. If you select this option all charities shown will be listed in your cards and your contribution will be split equally amongst them.